In 2016 whilst we were living in Cape Town, South Africa, I started to look at ways I could help my elderly parents who still lived back home in West Sussex. In doing so, I discovered the Driving Miss Daisy website, and was intrigued by their claim of ‘we’re family when family can’t be there’ as the services they offered were exactly what I wanted to provide for my mum and dad. We’re delighted to say that we are now back in the UK and are proud owners of a Driving Miss Daisy franchise in Bognor Regis. What do you do when you have no intention of retiring but instead want a future that is enterprising, has deep personal meaning and supports the communities we live in? You enthusiastically and wholeheartedly become a franchisor and launch Driving Miss Daisy in the UK! Paul Nuth, Driving Miss Daisy talks about his journey with the franchise so far and his plans for expanding the brand throughout the UK. Enable Holidays announces partnership with Driving Miss Daisy! 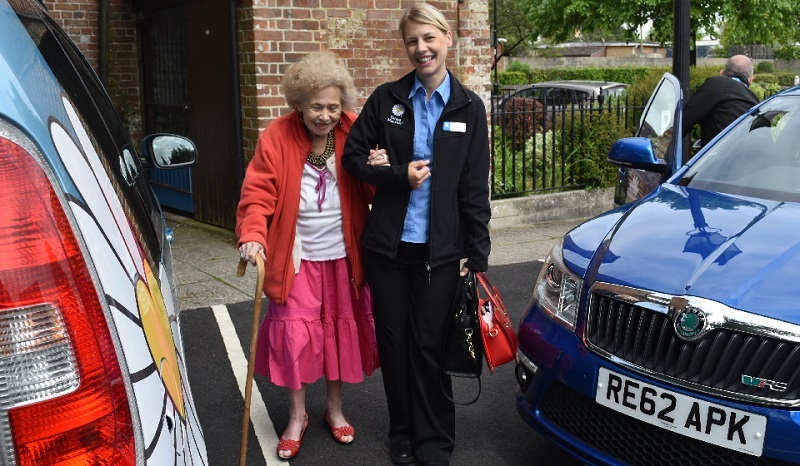 Enable Holidays, the award-winning accessible travel specialist, has teamed up with leading UK Driving and Companion service company Driving Miss Daisy to provide a door-to-holiday adapted transfer service for its customers. Driving Miss Daisy® gives people the opportunity to live the life they each choose, to the best of their ability. We believe that helping people to remain mobile, encouraging social interaction and providing companionship is at the very heart of living life to the full. Driving Miss Daisy® is passionate about communities. We know by offering safe, caring and reliable services for those people who find it difficult to get out and about, they will benefit from the fabric of our local communities. Driving Miss Daisy® cares. We understand the power of supporting each other to build sustainable, profitable businesses. We thrive on optimism, hard work, fun, and ‘telling the story’. A Driving Miss Daisy® franchise offers you the opportunity to own your own business, using a proven model. You will be in business for yourself, but not by yourself. You are joining a supportive, collaborative team; you will belong to the Driving Miss Daisy® family. Our business opportunity offers low start-up costs and is home-based, so you will benefit from low overheads. This presents you with the opportunity to develop a profitable business and build equity value. A licence to run your own Driving Miss Daisy® business; an established brand with a proven track record. Full training providing you with best-practice, knowledge and expertise to hit the ground running. A 12-point Support Programme for ongoing growth and development of your franchise. A comprehensive business system and customer relationship management system including invoicing and reporting capabilities. A Franchise Resource Pack in an easy reference modular format, to support the successful running of your business. This includes a Driving Manual to ensure the safety, welfare and experience of clients as passengers. Marketing materials to promote your business and stimulate demand as soon as you are operational. Support in gaining appropriate hire licences. Launch a professional image with dedicated local Facebook Page, business stationery, business cards, letters of introduction. Website and social media facilities to socialise the brand and your business in your locality. Our dedicated Client Services Centre field the calls from new potential clients in your area, sympathetically taking their requirements and passing the details to you. They act as your dedicated call centre ensuring you don’t miss a lead. Ongoing training and best practice will always be available; we are passionate about sharing ideas that lead to success. Whilst Driving Miss Daisy® works across all segments of society, the sector with the greatest need is the ageing population. There are currently 18 million people aged 65 or over in the UK and by 2034, there will be over 23 million people aged 65 and above. When people no longer drive, they can experience isolation and loneliness through lack of independence, and we aim to change that. The demand comes not only from the clients themselves, but from the sons and daughters in their 30s, 40s and 50s, who juggle careers, a growing family of their own and elderly parents and relatives, who are often not in the same geographical area. 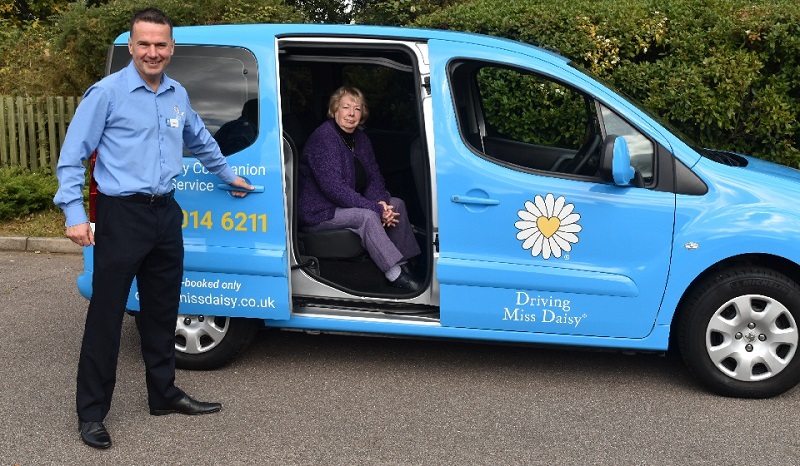 This ‘sandwich generation’ are key clients who understand and fully appreciate the service that Driving Miss Daisy® can deliver. Due to this immense, growing demand for the services Driving Miss Daisy® offers, there is an ideal client base to grow a thriving and profitable business with a multi-car franchise. As stated above, to open a Driving Miss Daisy® franchise, you’ll need an investment of £20,000+VAT to purchase the licence. (Driving Miss Daisy® has secured competitive finance packages with financial institutions to assist with setting up your business and, if required, these options can be explored with you). You will require a liveried, fit-for-purpose vehicle for your services which will be purchased by you. Driving Miss Daisy® works with you to deliver the car you want and organises the livery of the car. You may collect your car from the Client Services Centre or your car may be delivered to you depending on what you choose. Your Driving Miss Daisy® uniform is ordered in a timely way to be ready for operational launch. Your fee provides you with the marketing materials required to launch and start your business, and you may decide to supplement these materials with other items. Working capital as per your individual business plan. We will work with you to understand your plan and your commitment to the franchise. Local Authority fees for registering as a Licensed Operator, licensing your vehicle and becoming a licensed driver will also be required. We can help you through these stages. First and foremost, we look for people who have the same attitude and mindset; people who want their own business and genuinely care about improving their clients’ lives. We want to get to know you, to understand what motivates you to own your own business, and in particular, a Driving Miss Daisy® business. You will meet and talk with our Business Development team and together we will evaluate suitability. We want to be sure that Driving Miss Daisy® is the right franchise for you, and that our philosophy and ethos mirrors yours. We have a defined recruitment process consisting of a series of steps designed to ensure you and Driving Miss Daisy® have all the information needed to make an informed decision. Choosing the right people first time, every time, ensures satisfaction and success for everyone. You must have a caring attitude towards others, excellent interpersonal skills, patience and an enthusiasm for making people’s lives better. We award franchises to people who understand that it takes a lot of hard work, perseverance and tenacity to be successful – just like setting up any other business. By filling in the form below you will be able to receive a copy of the Driving Miss Daisy prospectus. I live in Lee-on-the-Solent, Hampshire, with my wife Ada of 48 years. We have 2 adult sons and 4 granddaughters. I left home at 15 to join the Royal Navy primarily to escape the home life, see the world and play sport. My career in the Navy spanned 28 years with a Commission gained at 27 years old, finally leaving at the age of 43 having joined the Royal Australian Navy for the last 5 years. 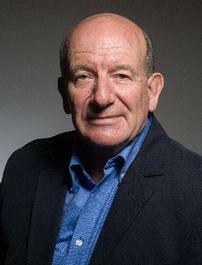 Returned to the UK in 1992 and joined a consulting company of six delivering complex systems consulting services (Management Information, Command & Control Systems) to the Defence, Aerospace and Transport sectors. We sold the company in 2000 to a French multi-national company, having grown it to 55 people. I stayed with new organisation for another 13 years establishing new businesses in the UK, France, Australia and North America. Having been offered and accepted voluntary redundancy in September 2013, I went off to New Zealand with my wife in February 2014 to think about the future; having no intentions of retiring and seeking a future which was enterprising but with meaning. We rented an apartment in Auckland (Devonport), and on a morning walk along the foreshore, shortly after arriving for a month-long stay, Ada spotted and pointed out to me a very bright blue vehicle adorned with “Daisies”. This was a vehicle owned by the Driving Miss Daisy Franchise for the Auckland Devonport area. Like many, I had seen the film 30 years earlier, and understood the relevance of what this vehicle represented, and within an hour had decided to establish something similar in the UK where we lived. At this stage nothing was known about the Franchise behind the service in New Zealand or indeed Canada before that. That same day I registered 2 domain names “Driving Daisy” and “Driving Daisy Lee”, all before any research! This was done when I got back to the UK from holiday and it look very little time to decide that getting a Franchise started in the UK was by far the easiest way to get started with the minimum of risk. Having made contact with the New Zealand Franchisor it become apparent rapidly that the opportunity to make a big positive difference to our communities in the UK could not be missed. After months of hard work, the first pilot franchises were launched in January 2015 in Lee-on-the-Solent, Hampshire and Farnham in Surrey. There are now 35 franchises in the UK with others in the processes of getting started. The fact that the franchise already existed and the success achieved in another similar marketplace (NZ) and with a proven system and business method. What have been Driving Miss Daisy’s biggest achievements/successes to date so far? 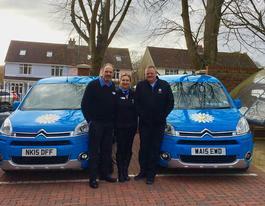 Being able to attract some wonderful people to deliver the Driving Miss Daisy services to their local communities. Last year we completed 37,000 engagements with the most vulnerable people in society supporting not only the end recipient but in large measure, their families too. Finding the right people to take up the Franchises and to develop the UK leadership team from a starting position of just me! What differentiates Driving Miss Daisy from the competition? With only a handful of exceptions all the franchisees have been found by communicating with people who are attracted by what we do and the difference we make to peoples lives. 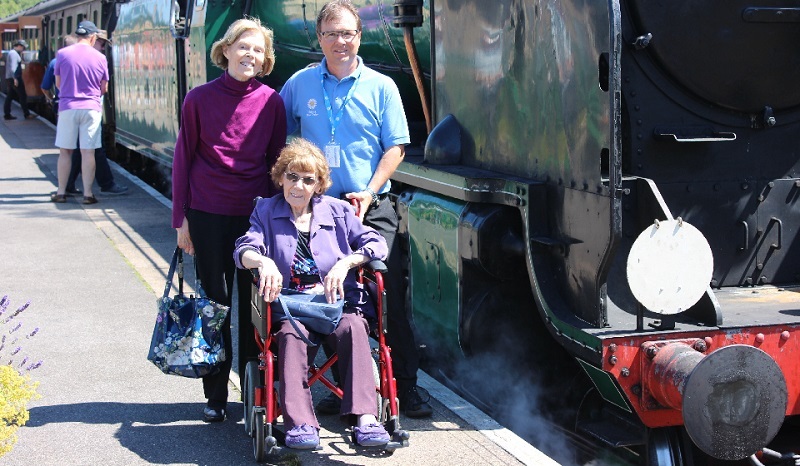 We sit between the various transport providers and the care sector in providing a means of transport and companionship for the most vulnerable in society. The ability to stay independent and engaged socially is immensely important and this is being recognised at a national level. 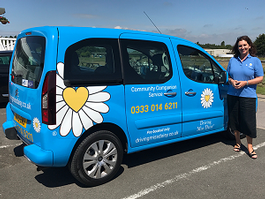 Combatting loneliness and social isolation has an enormous health, societal and cost impact – and Driving Miss Daisy are ideally placed to support our communities. What does the future hold for Driving Miss Daisy? 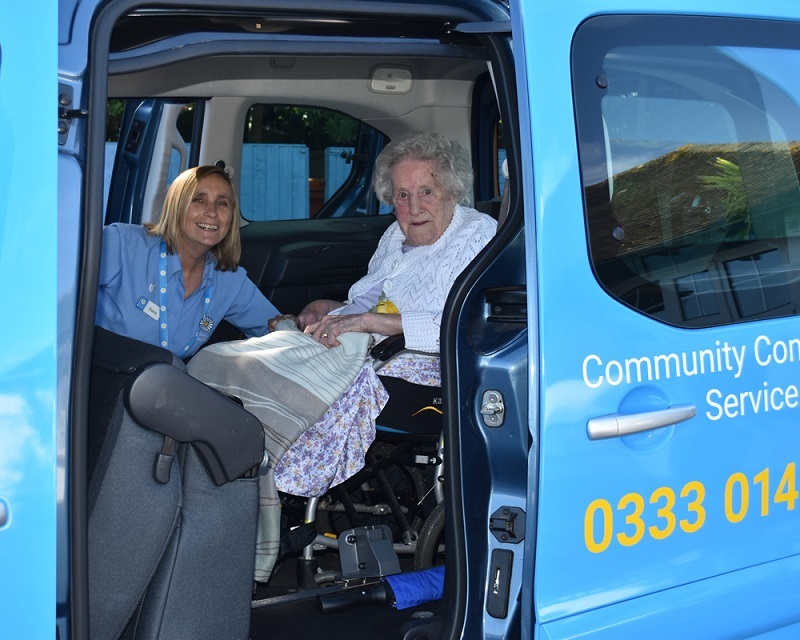 Rapid and sustained growth to provide the services in specialist transport and caring companions society needs. Upwards of 5,000 vehicles and 15,000 companions is the objective over the next 7 to 10 years. We have a 10-year plan to provide comprehensive service wherever they are need throughout the UK. International expansion will be considered from 2020 onwards as appropriate. Get advice from a successful existing franchisor in the same or adjacent business sector. Get advice from a someone who has achieved success in and outside the franchise sector. Achieve considerably more operating capital in order to federate more rapidly.